This knife is used White Steel. 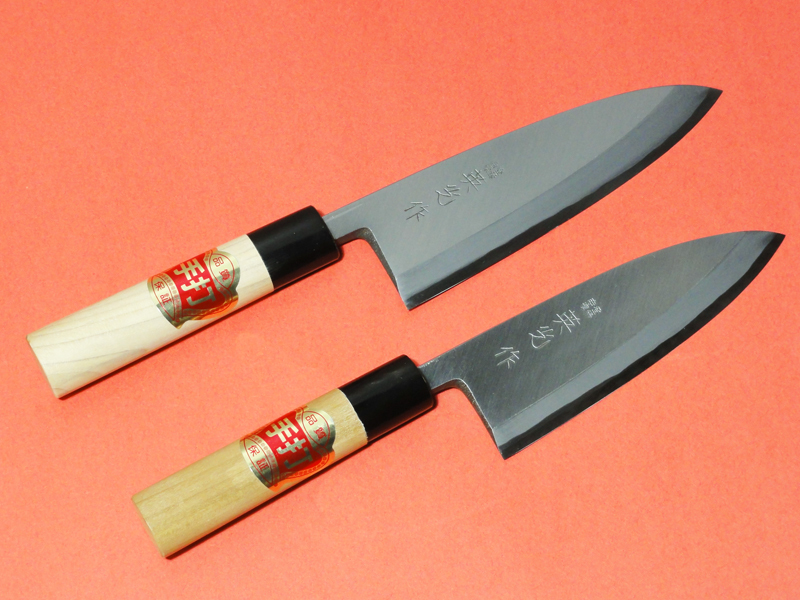 With impurities reduced even further, this is the purest type of Carbon steel, and the closest to Tamahagane Japanese steel. It is also used as a base for developing additional varieties of carbon steel. Forging white steel is extremely difficult. 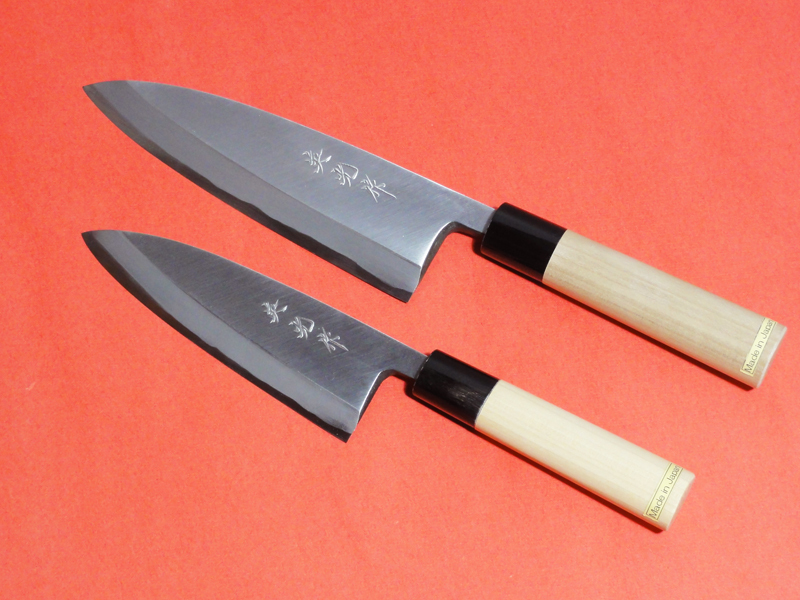 Since very few artisans can forge knives with this material, white steel knives are rare. This type of steel tends to rust easily, but some say that it cuts better than any other steel. HANDLE; Magnolia with Water Buffalo horn bolster. This knife is used Blue Steel. 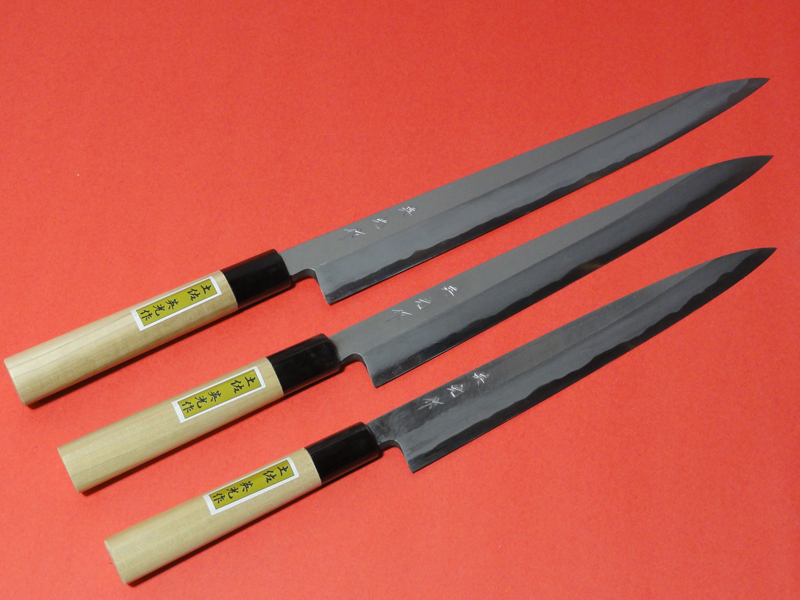 This steel is high quality carbon steel, created by adding chromium and tungsten to white steel. 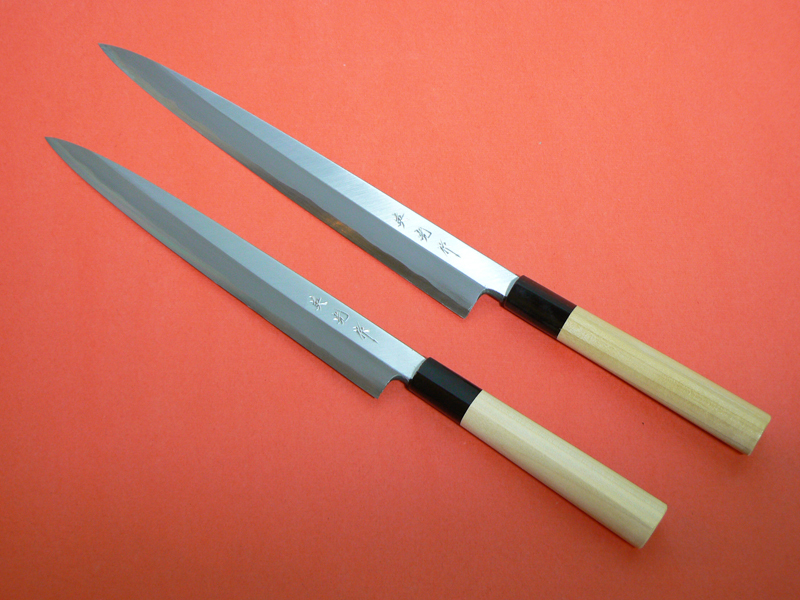 The Deba is mainly used for cleaning and filleting fish and dressing poultry and other meats. The most notable feature of this knife is the heaviness added by the wide spine. This lends the stability and extra heft needed to cut through tough joints and thick bones with ease. The heel of the blade is used for chopping and cutting through bones. When extra force is needed, the fist of the free hand may be used to push down on the spine near the handle.